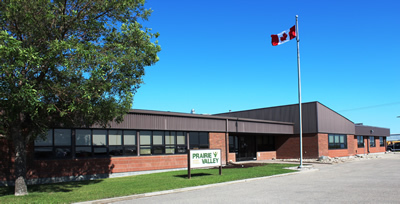 The 2010-2011 Annual Meeting for Prairie Valley School Division will be held on Wednesday, January 25, 2012 at Balcarres Community School. Everyone is welcome. The meeting will provide an opportunity for residents to learn about and discuss Prairie Valley School Division’s initiatives and accomplishments over the past year. Prior to the start of the meeting, at 6:30 p.m., staff will demonstrate teaching and learning in Prairie Valley classrooms. The Annual Meeting will begin at 7:30 p.m. Implementation of Prairie Valley’s Strategic Plan 2010-2013, which sets the system-wide direction for the School Division, defines goals and outcomes, establishes performance measures and targets and articulates strategies to work toward achieving our outcomes. Introduction of the magnet program concept, which provides enhanced course opportunities for students by sharing programs and facilities between schools. Programming and instructional improvements in schools across the Division, including more subject area specialists, targeted staffing enhancements and additional classroom resource materials, equipment and technology. Progress on facility improvements including room renovations in numerous schools, the start of construction to modernize Kipling School and Vibank Regional School and planning work for a second school in White City, an expansion to Lumsden Elementary School and the final phase of the Balcarres Community School modernization. The complete Annual Report and Financial Statement for 2010-2011 are available at www.pvsd.ca or by contacting the School Division.